Sterio printing machine print PP Strap in single colour, this machine print four PP Strap at time, This machine run Max. Speed of 160 meter/ minute. 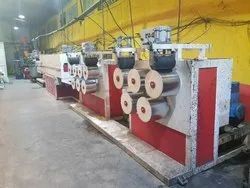 With sincerity and hard work of our experts, we have carved a niche for ourselves in this domain by manufacturing and supplying PET Strap Making Machine. 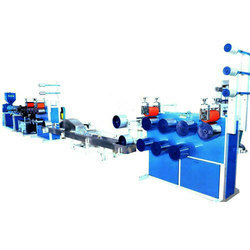 Driven by a vision to achieve significant growth in this industry, we are committed towards providing a wide array of PP Fully Auto Strap Band Making Machine. Output range: 100 to 350 Kgs./hour.